After conducting a site survey at the Childrens center in late 2010 we determined that drilling a well was not an option. While there are two possible locations where we might find water the geologists recommended against it so we decided instead to invest in a water catchment system. This is a turnkey project that has been funded by the wonderful people at Peninsula Community Church and constructed by Living Water International. 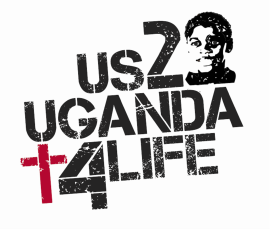 Beau Abdulla who leads the LWI initiative in Uganda is a wonderful Christian man who has relocated his family to Kampala, this is his mission field and he has committed to help is in every way possible. While the plan was to construct a 50,000 liter tank where the two original school buildings meet, Beau stretched the dollars and increased he size to 75,000 liters.When full it is estimated that the new tank can last twelve weeks between rain storms. Thanks to the Livingstone group there is a backup system that stores city water, we would redirect the secondary storage on this system to fill the new tank. 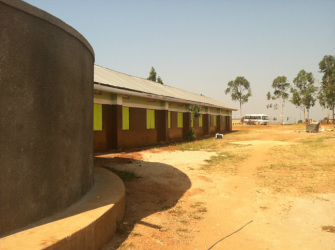 The plan then is relocate the old gravity feed tank adjacent to the secondary school to support the future Teachers quarters and then use one of the other smaller plastic tanks and a catchment system off the kitchen building for cooking water. Ultimately, when we get solar electricity at Jireh we could add a submersible pump to the large tank and pump water to wherever on the site. It is impossible to express sour gratitude to both of these amazing organizations. A 75,000 gallon tank is truly a blessing!